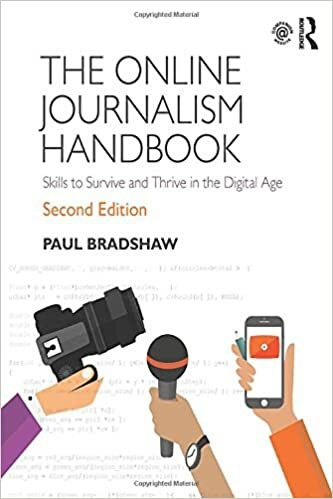 Paul Bradshaw has run a conference “Journalism, Enterprise and Entrepreneurship” for independent and mainstream journalists interested in “making a living from journalism in the era of free information”. In this interview, Paul explains to Matt Wardman what the aims and achievements of JEEcamp have been, and reflects on how his own blogging activities over 6 years has opened up opportunities for him personally. This entry was posted in online journalism, radio and tagged JEEcamp, matt wardman, paul bradshaw, podcast, politalks on June 1, 2010 by Paul Bradshaw. Following recent coverage of the PCC’s Baroness Buscombe’s Independent interview where she possibly mooted the idea of the PCC regulating blogs, I thought I would share some correspondence I had with the PCC recently over the same issue. In a nutshell: blogs can already choose to operate under the PCC anyway. “They can decide to adhere to the PCC Code if they choose. To fall formally within the system overseen by the PCC, they would have to subscribe to the body responsible for funding the Commission. “I am afraid I am unable to answer the question of cost, as it depends on the circulation of the newspaper [sic]. As you can imagine, it would vary from publication to publication. So there you go. If you can afford to pay for a shiny PCC badge, then you’re welcome. And of course, that’s the main hurdle to the idea of PCC regulation of blogs: few blogs could afford to pay, and even fewer would want to. Meanwhile, there is no financial incentive for the PCC to recruit blogs (nor is there any incentive for bloggers – yet – in joining an organisation whose 2 main purposes appear to be to stave off statutory regulation and to mediate disputes to avoid legal costs). Whether there is financial incentive in trying to attract public funding to do so, or to use blogs as a common foe to do the same is, of course, a separate matter. What is much more worrying than this blogging regulation sideshow is the apparent ignorance demonstrated by Baroness Buscombe in talking about Google and the news industry’s business plans, described earlier on this blog by Matt Wardman. The most curious quote for me from her SoE speech is this one, following on from a paragraph which attempts to conjure up the now almost pantomime-like Monster Of Google. Is she saying that serving users above content creators is a Bad Thing? Weren’t newspapers supposed to serve their readerships as well? Or did that change while I wasn’t looking? This entry was posted in regulation and tagged baroness buscombe, eric schmidt, Google Inc., matt wardman, PCC, Press Complaints Commission, Simon Yip on November 19, 2009 by Paul Bradshaw. Baroness Buscombe, the Chairman of the Press Complaints Commission, gave a speech this week to the Society of Editors, followed by some comments to Ian Burrell of the Independent about a desire to “regulate the blogosphere “. The Baroness has taken several steps backwards from her previous statements to Mr Burrell, and has attempted to emphasise that any proposals would be “voluntary”. I am sceptical as to whether this is a true change of mind, or a simply more nuanced journey aiming for the same destination by a more circuitous, and perhaps better hidden, route. Ian Burrell has pointed out that he had a direct interview with her for 40 minutes, so making that mistake would not be easy. However, that has been addressed elsewhere by perhaps hundreds of people, with a vigorous collective letter from hundreds of bloggers. For me, in addition to the “will we … won’t we … will we … won’t we … regulate the bloggers” game of Hokey-Cokey, this affair has highlighted a number of problems with both the Press Complaints commission, and perhaps with Baroness Buscombe herself. Firstly, the Chairman of the Press Complaints Commission is a position which surely depends on political and commercial neutrality. Perhaps it can only be compared to that of Speaker of the House of Commons. How is it possible for a Peer who takes the whip for a political party to be neutral? Thirdly, having read Baroness Buscombe’s speech to the Society of Editors, I think that her, and the PCC’s, level of knowledge and understanding about the Internet is open to question. And finally, Baroness Buscombe applauds the aggressive media investigations of the House of Commons, and MPs’ Expenses, yet suggests that they need to lay off the House of Lords – where she is a member; this at a time when the finanical skeletons have begun to emerge, creaking, from their Lordships’ cupboards into the light of day. That is a double standard. Let me illustrate this with a few extracts. Of course the fact that unfortunately we do have such a dysfunctional democracy – particularly given the House of Commons appears almost entirely to have forgotten what they are there for – means it is vital that the press is free to investigate and probe and tell it like it is. You can rightly feel proud that, from unraveling the government’s misleading spinning of intelligence in the Iraq War to exposing uncensored details of MPs’ expenses, the British press has filled the democratic deficit in recent years. Does this partisan accusation, whether true or not, have any place in a speech by the person who is ultimately responsible for determining the accuracy or otherwise of such claims made by newspapers? And why has she not, at the very least, resigned the Conservative whip? Together the press, all commercial broadcasters, film, book publishing and music industries must now work together to find a new business model with the Search Engines. The latter, the aggregators, think it is ok to enjoy the use of all your valuable intellectual property and ad revenues for little or no return. This statement is simply untrue. Major aggregators do *not* use *all* of the intellectual property of newspapers and media. Google, which is attacked by the Baroness in the following paragraph, runs the Google News service. Google News takes 1) a headline, and 2) up to around 155 characters of text. It must be very depressing for journalists who spend a whole week creating a 5000-word article to realise that only the first 2 lines and the subeditor headline are of any value ! Further, Google offers a complete opt-out service, either from having articles included in the site’s cache, or from having a site indexed altogether. I use it myself on the Wardman Wire to prevent caching, since I have taken the trouble to invest in a high-quality server and want the visitors to come to my site rather than read the Google cache. 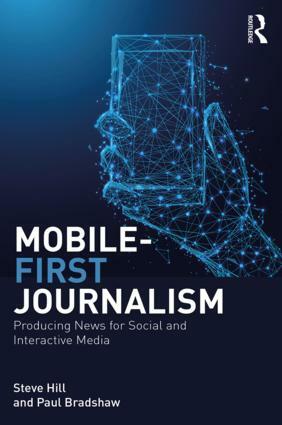 If services such as Google News are covering content from newspapers and the media, it is simply because those newspapers have made a decision to allow Google to do so. The issue of aggregators and search engines, and their impact on the revenues of newspapers, has been one of the very highest priorities of the industry for months, and it is worrying that the head of the PCC hasn’t got to grips with the basic concepts involved after 6 months with the organisation (Wikipedia quotes her start date as April 2009). I know that this is not a popular message with many of my fellow Parliamentarians, some of whom are bruised by recent coverage, but we must consider the MPs’ expenses furore as a whole, and not focus on individual injustices. What is the main lesson to be learned? Surely, it is that the absence of scrutiny in the first place allowed a culture of abuse to flourish. If trust in politics is at a low ebb, it is because there has been too little freedom to shine a light on politicians’ activities, not too much. Which leads me to the House of Lords. I may be partisan, but is it really in anyone’s interests for the media to be party to the undermining of our Second Chamber – one of the few platforms in this country where people can stand up and say what they believe without fear or favour? This is astonishing at a time when the light of day is at last shining on abuses of the Expenses system in the Upper Chamber. This is not a good recommendation for a Press Regulator who is trying to declare her support for strong investigation by journalists. The letter should should still be signed by as wide a range of bloggers as possible, because – even if we take Baroness Buscombe’s new position as being the real one – the PCC and the Baroness clearly need someone to explain to them how the Internet works. You can find the letter and the argument behind it, and sign up, here at Liberal Conspiracy . Before signing, I’d encourage readers to read the whole speech and judge my comments in their full context. At present this riposte has been driven largely by bloggers in the political niche; I’d particularly encourage bloggers in the media and journalism areas to offer their support. But the bloggers who I really want to sign up are those for either the Society of Editors, or the Press Complaints Commission. Unfortunately, neither of them has a blogger. Perhaps that would be a good first step to find out more about the internet before Baroness Buscombe makes another speech. They presumably already have an insight into how quickly the online community can react when necessary. Mark Pack has a slightly less pointed critique of Baroness Buscombe’s speech. Roy Greenslade has three articles about the “blog regulation” incident. The Heresiarch has a different angle entitled “Bloggers Repel Boarders“. Ooh-arr, me hearties. Liberal Conspiracy has the “Unity letter“. This entry was posted in regulation and tagged baroness buscumbe, blogging, matt wardman, PCC, Press Complaints Commission, regulation, law and ethics on November 19, 2009 by Paul Bradshaw. Last week Paul Bradshaw and I launched an exercise (background) last week to identify and map as many “ultralocal” (*) blogs and websites as possible. We have had almost 140 blogs and websites added, albeit with a certain amount of “creative marketing” in the mix, which will reduce the total – depending on the criteria used by each person using the data. There are so many blogs which can be called “local”, with a wide range of purposes, that I think we are likely to end up with a series of directories rather than a single monolithic website. Otherwise the directory might become so large as to be unmaintainable. I have an interest in independent commentary and a movement to rebuild politics from the grassroots upwards. I think a key to this is to react to the recent political scandals by seeking a broader, more rounded view of politics, rather than either rejecting or ignoring political life. * Sites focused on a defined and identified area or community. * Sites edited and controlled from within that area or community. * Sites which are editorially independent. I’m also listing local websites (such as forums) which are not on a blog platform, local aggregators, local directories and networks of sites which are centrally managed. Nutshell is built using WordPress, but I’d hope in the future to move to a platform which will enable website-managers to create their own accounts and edit their own details. I’m expecting other directories to be coming along, I hope including one from Talk about Local listing the 150 sites that the project aims to help set up as they are created. And someone needs to create a Google map of the sites submitted. This entry was posted in online journalism and tagged local blogs, local websites, matt wardman, nutshell, online journalism, remake politics, ultralocal, ultralocal directory on August 18, 2009 by Paul Bradshaw.